A panel of City University London academics and Olive Tree scholars examined the way in which competing narratives play a crucial role in framing the news coverage of the region. City's Olive Tree Programme held a special forum last week in the ornate chapel of King's College London. A panel of City lecturers and Olive Tree scholars took part in a debate entitled News and Narratives in the Middle East as part of London's Inside Out Festival. Olive Tree founder Professor Rosemary Hollis was joined by Doctor James Rodgers, from City's Department of Journalism and two former Oliver Tree scholars: award-winning photo-journalist Yoav Galai and Palestinian journalist Bahaa Milhem to discuss the definition and importance of narratives in Middle Eastern media. The event was chaired by Ben Sawtell, from City's Communications Team. Bahaa began by comparing the three main news outlets in the region, arguing that while "Al Jazeera turns a blind eye to the influence of Al-Qaeda in Syria," Al Mayadine seem concerned mainly with nationalist issues. He suggested that only Sky News Arabia - an outlet 50% funded by BSkyB - gives "space and time to both sides of the story". As the discussion developed Professor Hollis reasoned that when reporting news "we are working from both physical facts but also personal values," which goes some way to explaining why an internationally funded company is less influenced by national narratives. Dr Rodgers drew on the importance of narratives having a historical context, arguing that "it's impossible to report without giving a history lesson and the lesson you give depends on the audience". He suggested that necessity could conflict with the desire of editors to provide an almost entirely contemporary piece. This affects which narratives are presented - narratives that photo-journalist Yoav Galai were derived from Wertsch's theory of schematic narrative templates. He said: "The general structure for creating different narratives from the same basic plot which are then passed through schools and the media." Galai attempted to define a 'narrative', explaining that "narrative is just a buzzword and can mean so many things for example, 'Narrative' is the Swiss Army knife of identity". Both Galai and Hollis argued that narratives are unavoidable and come intertwined with a sense of nationality. Following the panellists' initial statements, the debate was opened up to questions from the audience, which included City students, alumni and journalists from the field. Questions seemed to focus mainly on the role of narrative and the possibility of creating a third that doesn't rely on mainstream media. In response to a question from the audience Dr Rogers argued that while "mainstream media retains more influence than new media, the balance changes all the time". He caused an intake of breath, however, when he added that "there are definite limits to the effect that journalism can have. It works only when the politics lets it happen". 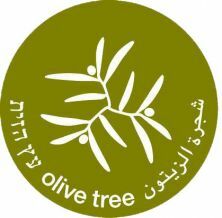 The conclusion that can be drawn from the Olive Tree Forum is clear: while they manipulate media and make objectivity virtually impossible, being influenced by the narratives a land, or conflict, is unavoidable. Their effect on mainstream media is obvious within national outlets and in order to move away from these subjective views and create genuinely unbiased journalism, it is important to step away from the "us and them" culture that Professor Hollis referred to as inherent in any national narrative. As Galai said: "One has to keep a very critical approach on your own narrative as there is no real clean way of telling when it is influencing you."